Resort Style Living in Solana Lake. 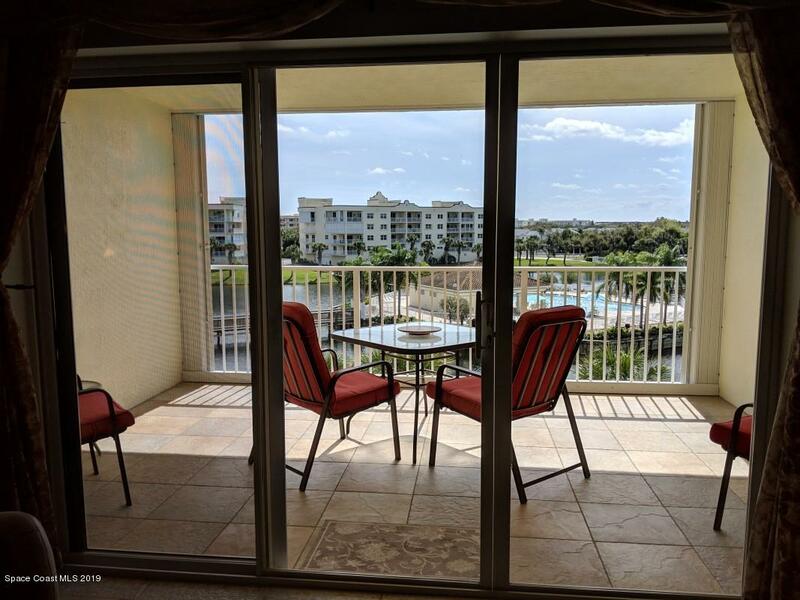 Beautiful 2-bedroom, 2- bath, plus den with lovely lake and pool views from back balcony. Balcony ideally situated to get shade in the summer and sun in the winter. Kitchen has granite counters, glass front cabinets, and decorative glass door to large walk-in pantry. Both bathrooms have been updated with new vanities and granite counters. Large walk-in closets. Tile throughout with crown molding in LR and MBR. Watch cruise ships and rocket launches from front balcony. All windows have storm shutters, balcony accordion shutter new in 2018. Gated community with Island pool surrounded by lake and fountains. Private oversized single car garage located right next to lobby and elevator. Club house with workout room, sauna, kitchen, and meeting rooms.